Abuse and disrespect during our childhood creates within us a lost, fearful and frozen child. Title: Abuse and disrespect during our childhood creates within us a lost, fearful and frozen child. Abuse and disrespect during our childhood creates within us a lost, fearful and frozen child. If we are unable to reach this child within then we may never recover our true selves. 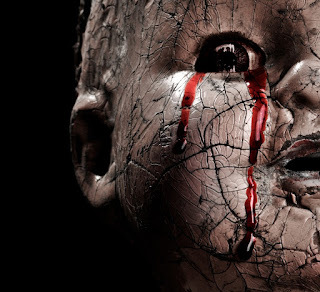 We prefer to dissociate from the sufferings of childhood, so we bury our memories and hide from them. We dissociate from seeing deeply into the causes of our early suffering. Whenever the memories arise, however fleetingly, we think we cannot handle them and we deflect them into the deepest realms of our unconscious mind.We DISSOCIATE We are frightened of further suffering. As a result, the child hidden within may not be seen for a long time. Yet we have to find a way to reach our child within and make it into a safe reality. We have to regress the fear and address the dissociation, because that is the way to awakening into our true reality. No matter what kind of happy pretend face we present as an adult, there is also a dissociated little boy or girl inside us. This child within colours everything we do, generating our fears, insecurities and self-loathing, damaging our relationships and our life. That child within is you, is me, and we must extend a hand to that child so we can understand, defuse and transform the energy of our suffering. Kindfulness and the ten stages are the way through to the child within. We have to make contact exactly where we are caught by the past events, fearful, and angry at being neglected for so long. 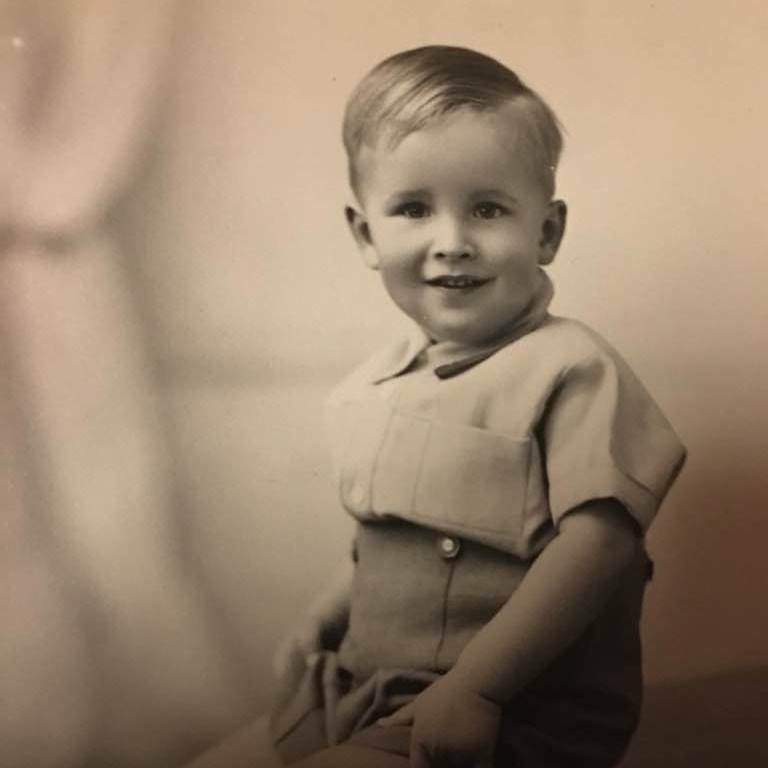 We must touch the seeds of childhood suffering from an adult state of Kindfulness and awareness, making it safe for that child to come out from behind closed basement doors. As adults, we can no longer run away, dissociation has ceased to be an adequate coping strategy. We must have the courage to bring healing to our soporific child within and thereby transform ourselves. 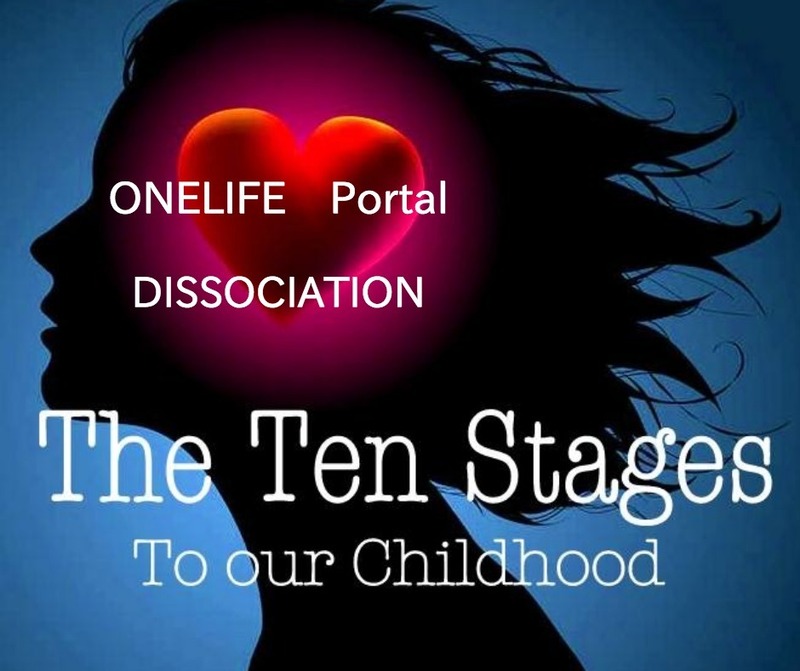 And the stages we take are not only to heal ourselves we somehow connect to all children within, those of our ancestors and descendants and everyone else in the world. Because once we cultivate the seeds of Kindful healing in ourselves, the energy of these seeds extends into all that we connect with, in a quantum leap through time and space from our cellular memories to everyone else’s. With awareness, we take our child within into our daily life: we go on picnics, take walks, sit at the dining-room table, do the dishes together. We’re patient, realising that we’re on a splendid adventure to end a cycle of suffering that may have persisted over generations. Thus we are healing and transforming ingrained patterns transmitted to us from our ancestors and through us to our descendants, patterns that built up over time like corrosive rust and amplified the fears and suffering of our child within. Labels: Abuse and disrespect during our childhood creates within us a lost, fearful and frozen child. One identity may be different from another, and when we are under the influence of one of our identities, we may forget our experiences when we switch back to the other identity. When under the control of one identity, we are usually unable to remember some of the events that occurred while other personalities were in control.It appears that we have disappeared into a fog of dissociation. We may experience time loss, amnesia, and adopt different mannerisms, attitudes, speech and ideas under the influences of different personalities or DISSY masks. We are often unaware of the different lives we lead or our dissociated state in general, feeling as though we are looking at others life through the lens of someone else, and even being unable to recognise ourselves in a mirror. 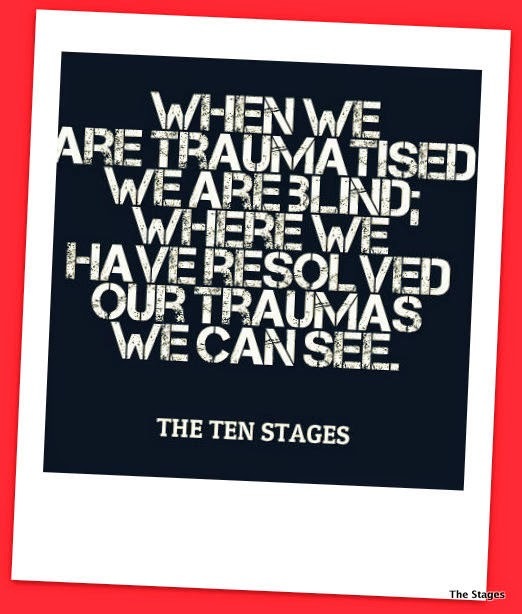 The Ten Stages are the only answer for this basic dysfunction of addiction and gently takes us back to recognise our self defeating self constructed masks. . Emotional growth and mental health -- you cannot change the past, but you can change its impact. Title: Emotional growth and mental health -- you cannot change the past, but you can change its impact. Emotional growth and mental health -- you cannot change the past, but you can change its impact. Children are impressionable -- they pay desperate attention to the social and emotional support system they find themselves in. They cannot survive on their own, so they learn very deeply what works with the adults around them -- that way they have a better chance of surviving. This is the theory of attachment and bonding. When childhood traumas are immediately followed by effective emotional support, the effects are ephemeral. Where insecure attachment prevails, the results can, in severe cases, disable that individual for a life time -- indeed until they can be persuaded, with enough emotional support, to revisit the trauma, and place it firmly into its childhood context. Starting Stage One. When outer influences intrude in our current life or from our family of origin, through derogatory attitudes, prejudices, unrealistic expectations, or when shocking or traumatic interactions happen, our child within can take over leadership from our Shadow Self. The child within can also take on historical family losses and burdens, and take in outer family system depressions, illnesses and emotional heaviness. As one part of self takes on an extremely protective role it unbalances the entire inner system and takes over the leadership responsibilities from the Authentic Self. When the parts of self become polarised, intense inner conflict and inner competition ensues within. When the people that we love, primarily live, identify, and express from one or more extreme parts of themselves, we will find ourselves adjusting our personalities in extreme ways to balance with and interact with them. When our outer interactions are unbalanced, we move out of our centre of our Authentic Self to belong and harmonise with our group or ancestral family system. The same thing happens in our inner family system. 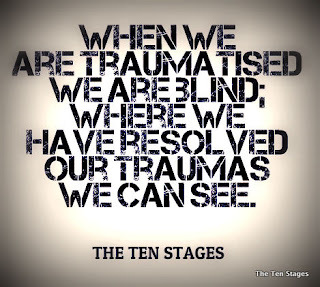 When trauma occurs - when we are abandoned, rejected, shocked, scared, or abused physically, sexually or emotionally - our inner family system polarises into diss-functioning extremes. Highly polarised shadow self are very rigid and defended. To try to change any part of ourselves without considering the often dysfunctional family system that it operates in - will activate strong resistance. It is helpful to be respectful towards the parts of ourselves that feel scared and defended as they are just trying to do their job to keep us damaged. Most people are polarised in their external family systems. Any part that was hurt, rejected, scared, or shamed as child will often go into hiding and be repressed. These highly charged emotional sub-personalities become the exiles of our inner family system. These exiles are often overwhelmed with feelings of rejection and unlovability. Like any exiles, these parts become desperate to express themselves. They long for opportunities to break free and share their stories and their pain. They desperately want to be loved, listened to, accepted, and cared for. Often exiles also carry most of the feelings for the inner family system, because the other more managerial parts of self often dump their unwanted feelings onto the exiles to get on with the process of functional living. These hurt and rejected inner parts are very vulnerable, and if they are not brought forward into the light of consciousness with care and maturity, they can flood us with uncomfortable feelings and memories. They are also in danger of looking for love in unhealthy ways. They tend to want to look to redeem their inner pain in the same kinds of unhealthy situations that hurt them in the first place. These hurt and exiled parts of self will seek love, acceptance, and protection from the very types of people that cannot give it to them. This sets up a hopeless and repeating pattern of both inner and outer rejection. Many people mistakenly think that their sub-personalities are their Authentic Selves, as "shadow managers" can often be quite highly functioning, and even inspiring at times. Shadow Selves, however, live in constant fear and dread of the escape of the ancient ancestral voices of our past generations. It is important to note that the shadow self does not accept all parts of the self like the child within does. Shadow Selves try to control life in such a way as to avoid any person or situation that might trigger the emotional pain of the past. This control and repression can sometimes look very noble, spiritual, creative, and highly achieving. Highly functioning shadow selves can fill our lives with edifying and creative activities that in the long run feel empty, because they are done from avoidance of, and compensation for past emotional pain instead of self-acceptance. Our Shadow Self can be highly functioning and efficient in the world. We can accomplish great things - but in an unbalanced way - that is out of touch with the child within. Shadow selves in contrast to the child within are a forced and extreme role that polarises away from inner pain of our addictive nature. Shadow Selves must expend enormous amounts of energy to keep the repressed need, hurt, fear, and painful memories and sensations buried. From this place of dissociation we strive, control, try to be a perfectionist, or to gain approval, or we live in rigid denial of what is arising within. The Shadow self is ruled by ancient ancestral voices must sacrifice its-selves for the eternal dtysfunctioning shadow self and can rarely relax. The more competent these shadow selves become, the more we rely on them, and the more the child within is denied. Most often we can feel lonely, overwhelmed, and exhausted. Like the lost ancestors, our child within need love, balance, nurturance, fun, acceptance, care and rest. These ancestral voices from a long dead past - only being a redundant part of shadow self - come to believe that everything depends on them. The more they accomplish the less they believe in - or are willing listen to the wisdom of the perfect child within. When we become overwhelmed and exhausted with all the perceived responsibilities, the ancestors can become once more activated, and can threaten to take over our shadow selves. When the ancestors take over we can be uncontrollably flooded with difficult feelings. The emergency selfs firefighters will then swoop in to help us dissociate, or to douse the dreaded exiled feelings, with little regard for the consequences. The techniques that the firefighting shadow self uses, include extreme and numbing activities such as self-mutilation, binge eating, drug or alcohol abuse, excessive eating or sexual activity, physical illness, or other extreme forms of dissociation. The aim of our self destructive firefighting self is to engage in any dissociative, distracting, or self-serving activity that will numb or distract from intensely arising emotional pain triggers. This extreme mode of coping with emotional pain is the place that all unbalanced, addictive and obsessive behaviours come from. And while we appear controlled and organised and highly rational, the shadow selfs firefighters will use any means to numb emotional pain. These extremely self-focused behaviours often leave a wake of chaos and destruction , in relationships and in our physical body. We struggle against some form of self-rejection and repression . When we understand the inner workings of our perfect child within, we can see becoming unconditionally present is a necessary practice to incorporate into our life. Our perfect Child within already has everything encoded within itself to heal. Even the most conflicted inner internal addictive behaviour when challenged by the reality of the child within can heal itself - if the process of listening to all perspectives of our inner shadow world is honoured. When our freed child within takes its true seat within a reformed consciousness we will enjoy the process of seeing and expressing the new creation of our resurrected selves. It is a relief and a joy to creatively explore and sort out the map of our psyche and understand how we uniquely operate. Through inner self-acceptance, the gifts and strengths that we buried along with our pain are finally able to come to the forefront for expression in our daily life. It is most helpful however, to do this inner work when we are not living in a dangerous or triggering outer environment. Parts will have a hard time leaving their roles when they are continually be activated by other people. Often it is important to find a quiet time away from the stresses of life to explore the inner parts of our psyche. It is profoundly relieving to discover firsthand that all parts of ourselves want to harmonise and contribute to our best life. Every part of us has a valuable role to play, and each part will eagerly leave their extreme roles given the love, self-acceptance, and inner nurturing that we can provide through our Core/Authentic Self the child within. Our Creative Child Within can be a profoundly moving and fun process where we come to respect and appreciate all of the recovering parts of ourselves that have kept us safe, helped us function, and brought us intact to this present moment. We can think of our Shadow Self as a demented mediator that seeks to depolarise the conflicts of our consciousness helping to sort out all of the varying needs that we have created inside ourselves. Our parts of the shadow self do not disappear when our dissociated Self takes up its false leadership. They simply become less extreme and they begin to hide all our unique gifts and purposes within their less dissociated roles. Sometimes our child within can develop gifts so profoundly they can even step into the leadership at times when given permission from our Shadow constructed Self. But without help and support will withdraw from leadership when the Shadow Self feels threatened. We are intent on building healthy self worth our goal is autonomy.Fellowships, religions, cults, gurus sponsors and mentors can and do become manifestations of the worst of our family systems. Title: We are intent on building healthy self worth our goal is autonomy.Fellowships, religions, cults, gurus sponsors and mentors can and do become manifestations of the worst of our family systems. We at the ten stages are intent on building healthy self worth our goal is autonomy.Fellowships, religions, cults, gurus sponsors and mentors can and do become manifestations of the worst of our family systems. They adhere to the same underlying dynamics of families but replace familial depression with an alluring, grandiose face, which is why so many underdeveloped souls seeking love swim in and get ensnared in their tentacles. And uncomfortable as it is to get swallowed by the beast, it’s an old and familiar tale – an adult recreation of the child’s dilemma of needing to fit into his family at all costs in order to survive. The deepest wound. My wound, your wound, Was the first, the most cutting, The damage done, Before we even knew who we were. Title: The deepest wound. My wound, your wound, Was the first, the most cutting, The damage done, Before we even knew who we were. Before we even knew who we were. The love we arrived with. A gift from love to love and back again. Without a defense, without a guard. Then the cut, the hurt, the wounding. And never knew when it was done. We thought we were born in love. Open, available, unconditional loving beings. Willing to suffer without knowing what suffering is. And tore into them without regard. Oh, how I tried to be that. And the innocence that was taken, gone forever. As we tried to make it all alright. It was time to recreate someone new. People who might get what they came for. I always thought that was me. And thought that was me. Now, surely, the love will come. That I wanted to be. And not when I changed into somebody else. To make the not-OK feel OK. So that you delight in me. Never a trouble to you. I’ll pretend to be that. And then you can pretend to heal the wound of the pretend-me. Can you be enough to heal my deepest wound? And make you laugh out loud. I’ll act as if you were my mother. I’ll be upset and angry. And make you into what I want. And I’ll be what you need. Trying to heal who we thought we were. That is not how we began. Adorable little things, just perfect as we were. And wishes for your false self to heal me. Have adapted and recreated ourselves. But did what we had to do. For that’s what we become. And that we were not. Not seeing that it was they who were not. And carried their deepest wound, too. Just for the way he [or she] is. That what I became wasn’t loved, either. And there was no bonus love for effort. But that was rejected too. But there was nothing more I could do. If only I could figure it all out. But all along the bank was empty. Is not free to love you. And what I want, you don’t have. Trying to love me back. And not lacking, nor experiencing neglect. It is the baby who is unconditionally loving,Born to be itself just as it is,Accepting whatever comes its way,Without knowing what it wants. Or what they should do. Or think it knows best. They are free to do whatever they do. And I bring the same to you. Let’s love all aspects of ourselves. Let’s love our trying and failing. The selves that we are not. And the part that thinks it should be unconditionally loving. And no trying to be what we think the other wants. And you accepting of me and yourself. And then I don’t need you to do that for me. Because that would be fake. I can’t love me and then not love you. To think that is even possible would be a mistake. Without having a job to do. Because you were never not so. When what you are is me. Let’s love, and be done with the trying. Let’s allow in the love we thought we didn’t deserve. In the hopeless hope that we will then earn a love that was always free. And now all that can end. And doing what we were born to do. Title: We compensated for lack of nurturing as a child by immersing ourselves in fantasy. We compensated for lack of nurturing as a child by immersing ourselves in fantasy. Fantasies of being rescued or being the rescuer abound. Knights, dragons, romance novels- getting high from fantasy becomes habit. Labels: We compensated for lack of nurturing as a child by immersing ourselves in fantasy. At the core of all addictions is abuse. By abuse what we mean is emotional loss in childhood, and in the case of severe addicts, you can see — and large-scale population studies show — that there is significant childhood abuse such as family violence, addiction in the family, sexual and emotional abuse, physical abuse, a parent being mentally ill or in jail. These adverse childhood experiences have been shown to exponentially increase the risk of addiction later on in life. That’s one set of difficult experiences. There’s another set of difficult experiences that’s a bit harder to distinguish, and that’s not when bad things happen but when good things don’t happen. A child has certain fundamental needs for emotional development and also for brain development. If you look at the human brain, it develops under the impact of the environment. The potentials are genetically set, but which genes are turned on and off depends very much on the environment. So for example, in the case of addiction, the brain’s reward circuitry is impaired… the person’s circuits, which have to do with the chemical dopamine and which give you a sense of reward incentive and motivation, are not well-developed. Those circuits need the support of the environment to help them in their development, and the essential quality of the environment is a mutually responsive relationship with the parent or caregiver. So in families where the parents are overly stressed or aren’t able to be emotionally present with the children, in the case of sensitive children, that can interfere with their brain development. The children will look for reward elsewhere.The Child will dissociate When we’re looking at psychological pain at the heart of all addictions and addictive behaviours, they have one intended purpose: to soothe pain or to escape from pain or stress. So whether we’re looking at the psychological side of addiction, which is needing to escape from pain or stress, or the brain physiology side, which is the underdeveloped reward circuits in the brain, we’re looking at the impact of our childhood. 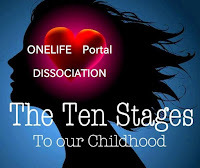 Joining The 10 Stages starts the emotional healing process, if it goes well, it risks much. Basically at risk is our false constructed self, which is all most of us have. It’s how we’ve been defining ourselves for most of our entire conscious lives – ever since we created it to fit into our childhood families. Healing attempts to help us understand ourselves and to modify this false shadow self, to help us manifest our recovery our true self that lies underneath, dormant or partially dormant for years.We know our truth but have not been able to manifest it until now. When this process succeeds, the consequences are great, and often seemingly negative. Becoming honest is a betrayal of all our false relationships – be they with friends, parents, partners, family members, colleagues, or with society as a whole. It throws our old dynamics into turmoil, which can be especially painful if there is much interdependency in our history. Our belief systems are turns upside down and now we taste real freedom and real recovery for the first time.Sometimes the truth hits like a bucket of cold water, spluttering we surface as the old gives way to the new. 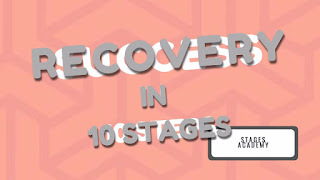 As we journey forward in the ten stages , different parts of ourselves live at different stages of healing from dissociation. Title: As we journey forward in the ten stages , different parts of ourselves live at different stages of healing from dissociation. 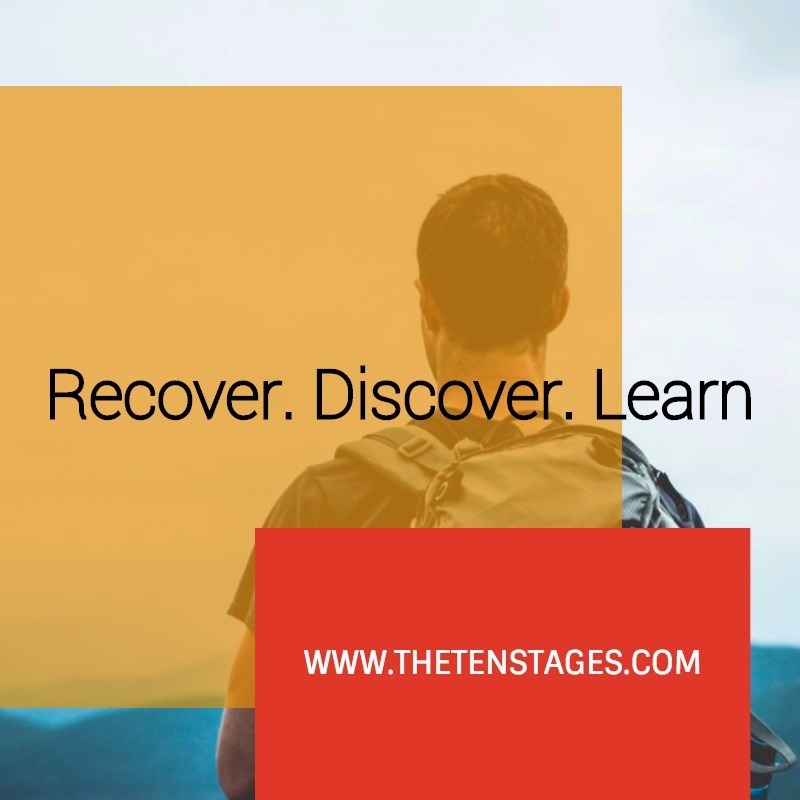 As we journey forward in the ten stages , different parts of ourselves live at different stages of healing from dissociation. Some parts can be amazingly healed and insightful, while others can remain buried and out of touch. Our different parts traverse the various stages at their own speeds, seemingly independently – but ultimately connected to our core of perfection by our universal thread of truth. The most primitive stage on life’s healing journey is that of contest. This is the stage of grandiosity, acceptance by the norm, dissociated happiness, and approval by the historic parents. The parts of us that are winning the contest stop our journey before it has even begun. Here we deny our deepest traumas so intensely that we fool even ourselves into believing they never happened – and that we are already healed. It is for this reason that dissociation mimics enlightenment. Here we idealise the ancient historic parent, which allows us full unconscious liberty to replicate the worst of our past in our present. Here we do not look beneath our surface, and if fate goes our way, we will never have to. We remain happily distant from the misery lurking in our guts. Yet where parts of us lose the contest we evolve into the second stage: suffering. This is the stage of depression, failure, misery, and inertia. Here we wallow in seemingly purposeless pain. The silver lining around our cloud of parental idealisation has been stripped away, but the cloud remains intact. We still wish to be rescued by our parents and their replicated stand-ins, but we lack the requisite pain tolerance to be able to acknowledge the impossibility of this. Here we live in tortured ambivalence, and we spend out hours and days trying to get others to love us in the way our parents never could. Part of us wishes to devolve back into the seeming pleasure of grandiosity, but the healthier part recalls how cruelly that route already failed us. Those parts of us with the capacity to face our terrors enter the third stage: grieving. This is the stage of purposeful struggling. Here we unearth the truth of our past, which allows the eruption of the stinking cesspool of our buried traumas. Here we witness the horror lurking behind idealisation/normalisation of the parents and we work to disassemble their lies. Our honest confidence leads us into the face of the hurricane, because our child within and its allies tell us that blue skies lie on the other side. Here we are humble, here we confront the truth of the worst of our historic parents legacy, either in interaction with them or through whatever means will best help us integrate the truth, and through this our journey rages forward. With each dissociated demon we conquer we take a further step into the fourth stage: enlightenment. This is the stage of emotional integration, psychic balance, and inner peace. Here lie our deepest goals. All want to know truth, and the enlightened person achieves it – in all parts of ourselves that arrive in the final stage. Here we grow able to distinguish light from shadow and water from mirage. Here we nurture the evolution of our primitive dissociated sides instead of expressing them destructively. Here we devote the best of ourselves to healing our traumas. Here we no longer traumatise others in the very patterns in which we were traumatised, but instead replicate the best of ourselves – and generate beauty in the world around us. Here, having healed our trauma, we share freely of our gifts, because now our gifts are accessible. 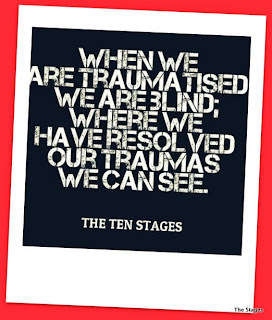 Labels: As we journey forward in the ten stages, different parts of ourselves live at different stages of healing from dissociation. Becoming awakened to the ten stages is an introduction into a new way of life. 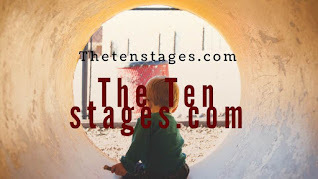 Title: Becoming awakened to the ten stages is an introduction into a new way of life. Becoming awakened to the ten stages is an introduction into a new way of life. Although we can and do intercede with others , we often do not. We live in a new and different world. Our mental make-up has changed . This is often painful . We may be attracted to some, but on a new level we have become incompatible with the mass. We who have undertaken the path of healing, the path of resolving our deepest childhood traumas, are changed by it. We are no longer a like. We can relate to them, but they can no longer relate to us, because they have no frame of reference by which to understand us. We will judge them accurately, and they will only misjudge us in return labelling us as judgemental. We will breathe outside the box in which they operate. 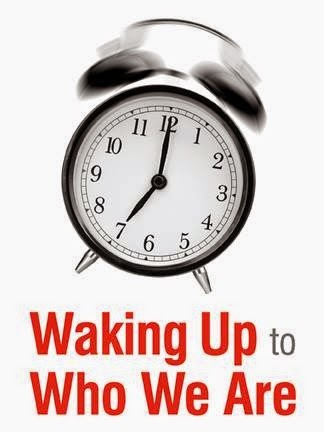 It is hard to be become awakened. Most have in our planet’s history died out quickly. Many of us do not find suitable friends. We have to learn to be alone. It is easier to join the flock and find our partner within its folds. There is hope for the awakened. 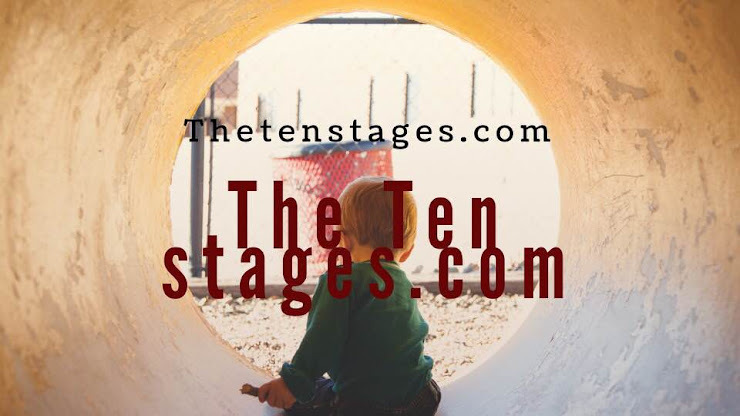 As we live a long time, we are compelled to struggle for the Ten Stages and the key, the child within. Perhaps we will catch hold and someday become more. Even if we do not prosper on a physical level, our ideas can already are instituting that change within ourselves. 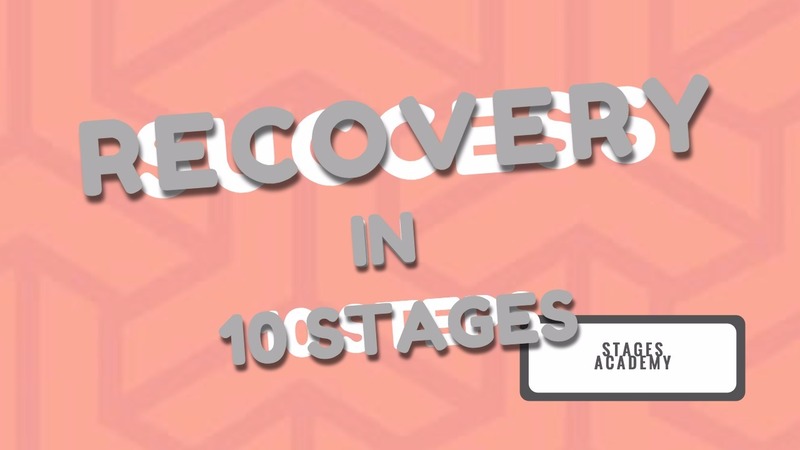 This is a wonderful time for ten stage change. Our world is opening. Our world has a new and powerful truth filled message. Labels: Becoming awakened to the ten stages is an introduction into a new way of life. So what is Dissociation (being split-off from one’s deepest truth) which mimics recovery– but it isn’t recovery. Title: So what is Dissociation (being split-off from one’s deepest truth) which mimics recovery– but it isn’t recovery. 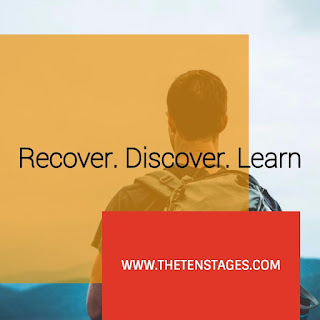 The most painful deep seated education within the ten stages is to deal with our dissociations.This will cause us considerable amounts of pain and suffering. So what is Dissociation (being split-off from one’s deepest truth) which mimics recovery– but it isn’t recovery. We who are dissociated live in great peace. But this is only because we have blocked our negative feelings. As a recovered we resolves our negatives feelings, and thus our peace is not false. Emotional detachment, in recovery, can mean two different things. In the first meaning, it refers to an "inability to connect" with others emotionally, as well as a means of dealing with anxiety by preventing certain situations that trigger it; it is often described as "emotional numbing" or dissociation, depersonalisation or in its chronic form depersonalisation disorder. In the second sense, it is a decision to avoid engaging emotional connections, rather than an inability or difficulty in doing so, typically for personal, social, or other reasons. In this sense it can allow us to maintain boundaries, psychic integrity and avoid undesired impact by or upon others, related to emotional demands. We who are dissociated do not suffer. But this is only because we have abandoned our healing process and numbed our pain. Enlightenment grows from the fertilised soil of suffering. we who are dissociated call ourselves recovered. But this is only because we have no conception of what recovery is. Recovery is the polar opposite of dissociation. WE who are dissociated are not easily emotionally ruffled. But this is only because there lies a thick wall buffering our hidden, vulnerable self from the sharp and often honest edges of the world. We who have scaled the rocky walls of dissociation become the recovered. we are much less protected, but have such a deep core of self-love that we can defend ourselves with the pristine armour of gentlness. We who are the still dissociated feel we have mastered forgiveness. But this is only because we completely deny the harm done to ourselves – and the deep damage remaining. We the enlightened forgive spontaneously and without effort because we have fully embraced our dissociated parts and grieved every honest ounce of our childhood misery. We who are still dissociated are extremely self-confident. But this is only because our self-deceptive armour is impenetrable to self-reflection. The self-confidence of recovered enlightenment is fed by the universal spring of life. We who are dissociated gravitate naturally toward leadership roles. But this is only because we are experts at leading ourselves away from our childhood heart’s true course. We who have become recovered enlightened leads right to the heart of the matter. 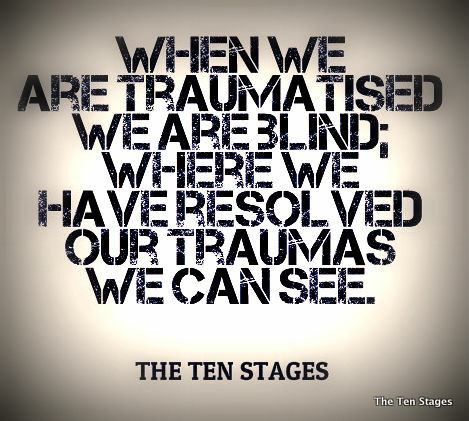 We who are dissociated have gone through hell to get to where we’re at. But we still fail to realise that we’re still stuck right in hell. Recovered Enlightenment is the freedom of emotional integration. We who are still dissociated feel we have found their true self. But this is only because we equate our true self with no self at all – or at best a false self or ego based on a distorted sense of consciousness. 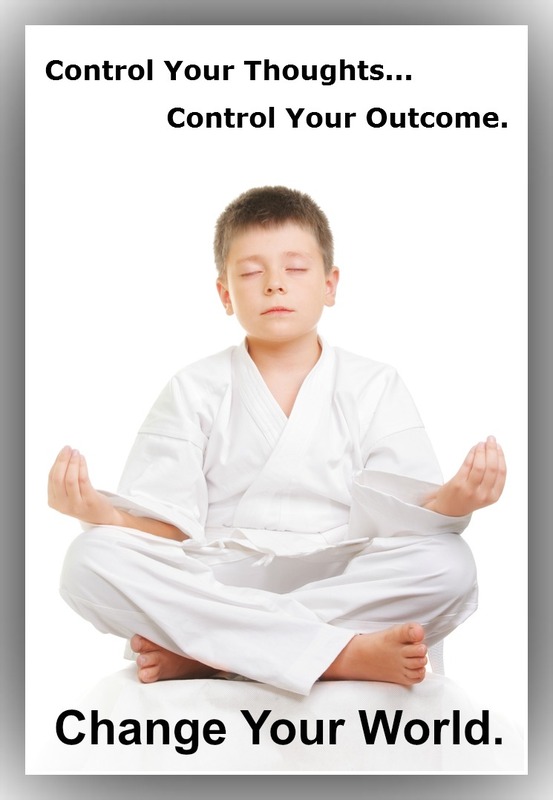 Recovery is the true child within linked with our conscious mind. We who are dissociated consider ourselves paragons of spirituality. But this is only because our spirits are so buried behind walls of denial that we have no conception of what spirit is. Recovery is the passionate spirit of the child held by the consciousness of the adult. We who are dissociated are quite motivated, sophisticated, and convincing. But this is only because we perennially risk returning to suffering if we do not convince everyone of our lies. Recovery brings a motivation to spread the truth that is everyone’s birthright. We who are dissociated act decisively. But this is only because we cannot see or question our unconscious motivation. We The enlightened is also decisive, but only because we have no unconscious, because in our healing process it, like a now-useless appendage, has dissolved. Labels: So what is Dissociation (being split-off from one’s deepest truth) which mimics recovery– but it isn’t recovery. We have spent so much time focused on what we can’t control that we get so caught up only in that, and as a result, we feel totally powerless over our lives in recovery. And while it’s important to be aware of what’s wrong and what we cannot control, our power is not found there. 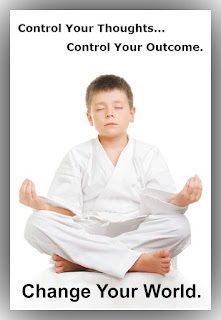 Our power is found in focusing on our child within and releasing its intuitive voice. By focusing ONLY on the problem, we tend to create more “problem.” reinforcing trauma that we acutely feel fro our childhoods.By becoming aware of the “problems” of the child within and then focusing on contact, we begin to take re-empower ourselves. If you don’t know what the solution is to your circumstance, why not ask your child within ?